In the early 1960s the catholic church attempted to gain new followers in the Ruhr area with the slogan, ‘No one gets past Jesus.’ The fans of Schalke 04 however, thought differently and added ‘except Stan.’ The ‘Stan’ in question would have celebrated his 70th birthday today. Reinhard Libuda, nick named Stan was born in Wendlinghausen, near Lemgo in the east of Northrhine Westphalia. After moving back to Gelsenkirchen, his father enrolled him with Schalke 04 in 1952, aged 9. He has made his first team with 17 and became a ‘professional player’. 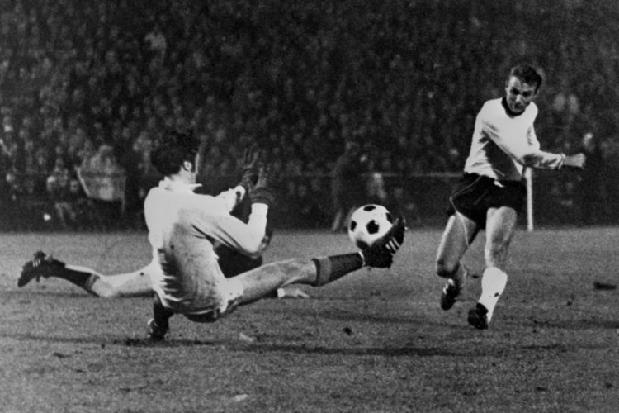 With the start of the Bundesliga in 1963 Libuda had already secured a starting place with Schalke on the right wing. His time was not particularly successful with Schalke never finishing higher than 6th in 1962/63. After 3 years in blue and white, Libuda swapped for the yellow and black of Schalke’s fiercest rivals Borussia Dortmund in 1965. This transfer is said to be the result of a misunderstanding or miscalculation. Schalke were relegated after finishing bottom of the table. However, a round table decision saw them staying up. The reason: the league was to be extended from 16 to 18 teams and due to a lack of precise wording, Schalke stayed up. Libuda was aghast as he left his beloved Schalke for Dortmund. The move resulted in one of the most remarkable moments in his career and for German football. Dortmund have won the German Cup against Alemannia Aachen and had an interesting journey through the rounds, beating FC Floriana, CSKA Sofia and Athletico before eliminating West Ham United in the semi-final, the winner of the competition in 1965. The opposition in the final, Liverpool beat locals Celtic and it was hoped that the Glaswegian crowd at Hampden Park would thus support Dortmund, who were crass underdogs in the final. Uli Hesse described the game as boring and and depressing; only 42000 watched in a ground with a capacity of 130000. The goal against Liverpool must be one of the luckiest ones ever scored. Siggi Held was clear through on goal when Tommy Lawrence prevented him from scoring. The ball flew out of the box and fell to the feet of Libuda, some 25m from goal. Without hesitating he lobbed the ball back towards goal where it hit the post and off the thigh of Chris Lawler crossed the line. Dortmund have won their first silverware in Europe. Another remarkable goal came 3 years later in a World Cup qualifier against Scotland. It was Libuda’s 13th cap for Germany and they needed to win in order to go to Mexico. Scotland scored early and a nervous Germany equalized after 38 minutes before taking the lead on the hour mark. Again nerves came into play and allowed Scotland to draw level. With 12 minutes to play, an opening pass from Helmut Haller in midfield saw Libuda with plenty of space and time to run. No Scottish defender could keep up. Just from inside the box he shot into the top left corner. Unstoppable. 3-2 for Germany. 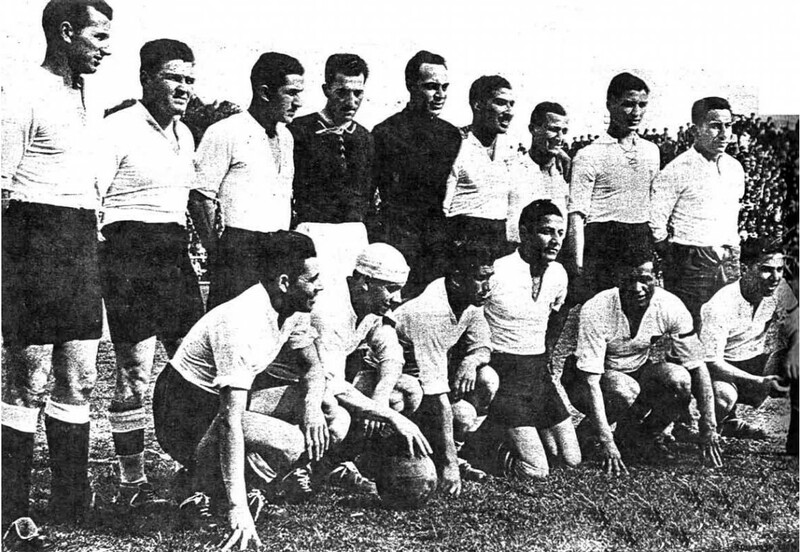 The following day, the kicker described the goal as ‘The Goal to Mexico.’ His best game was against Bulgaria where scored 1, assisted 2 and was fouled in the penalty area, which resulted in a spot kick. He was also involved in the game against England in Leon. It was Libuda who was substituted for Grabowski, a swap that was later said to have changed the momentum of the game. In the next round, Germany played Italy it what was to become the ‘Match of the century’. It was in Mexico that the nickname appeared in The Times where Roger Macdonald and Ron Greenwood agreed that Libuda reminded them of Stanley Matthews because of his ‘suspicion of how legs and body swerve.’ Yet it is unclear by whom and when he was attributed the nick name ‘Stan’ for the first time. Sadly, he is mostly known for his involvement in the Bundesliga Skandal. After 3 years with Dortmund, he signed again for Schalke; it was here that his career took a downward spiral. Winning the German Cup in 1972 was the last positive to be heard about the melancholic Libuda. Without having initiated it, he accepted the bribe from Arminia Bielefeld that set the whole scandal in motion. It turned out that half of all Bundesliga clubs tried to bribe each other. In the end more than 50 players were banned, some for life others were allowed back after a temporary ban until 1974. For Reinhard Libuda this was too late. Already in his 30s, he went into exile – again; even Dortmund was considered exile for him – for one season, playing for Racing Strasbourg, before returning in 1973 where he played only 15 matches in 3 years. His career as an international for Germany was also over. He played 26 times, scoring 3 goals, the most important against Scotland 1969. His private life also suffered. Described as a ‘another tragic drunk in the making’ by Hesse he took to drink. Logically, his marriage suffered and broke down. He moved in again with his mother. A quiet man, Libuda appeared to have attracted misfortune, given his involvement in the bribery scandal. However, he could have said no when asked to accept the bribe. He has not said anything and thus was culpable. To this day Reinhard ‘Stan’ Libuda is reverred as a hero ‘Auf Schalke’ and considered one of the best wingers Germany ever had. He might have died alone but he was not forgotten nor lonely: 5000 people from his local Schalke-Haverkamp turned up for his funeral when he passed away at the age of 52 in 1996. Today would be his 70th birthday.